Choose from the widest array of options to customize your lab water system to your specific needs. The arium® advance RO features the highest ion retention at rates of up to 24 L/hr. Directly connected to your tap feed water source, this system delivers pure water of the highest quality. Closed, unique bagtank for optimal storage of pure water. Prevents the formation of a permanent biofilm - easy to exchange. Innovative glass display with touch-activated function; easy to use. Supported by color-coded warning and care prompts. Optimizes water usage thanks to automatic regulation using iJust. Conserves your resources. Indicates the status of the consumables for optimal planning of replacement needs. Optimal pretreatment of drinking water by reliable removal of salts, particles, bacteria and organic components. Ideal combination of high-quality activated carbon, catalyst and 5 µm depth filter for reliable removal of oxidants, free chlorine, heavy metal ions and particulate contaminants. Water purification with added value! 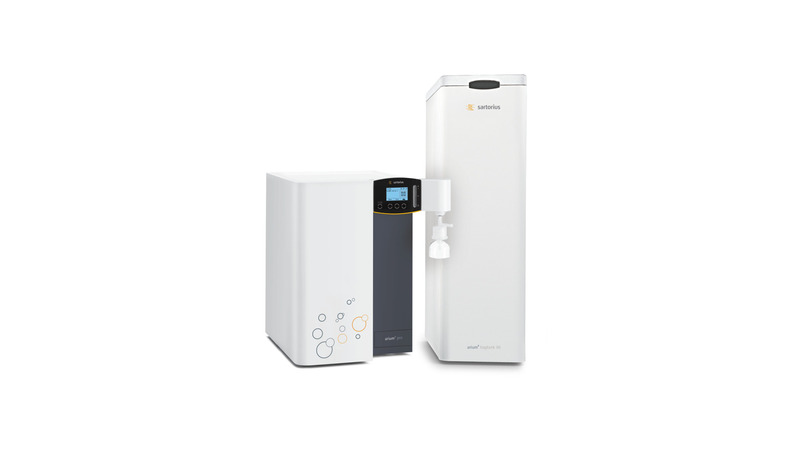 The arium® advance RO consistently delivers premium Type 3 reverse osmosis water quality at rates of 8,16 or 24 L/hr for your standard laboratory applications. While producing Type 3 water, the system uses specially designed, intuitive software to continuously monitor the water quality. Its additionally integrated iJust function optimizes the usage and quality of your purified water, while helping you conserve your valuable water resources. Benefit from unique bagtank technology! Connected to the unique bag tank, this system not only reduces the cost of labor, but also provides you with a reliable storage option for stable quality of Type 3 reverse osmosis water over the long term. Gain time and safety by using the unique arium® bagtank! The revolutionary arium® bagtank stores Type 2 purified water reliably in your choice of 20-, 50- or 100-liter disposable arium® Bags and safely protects your pure water with its built-in filter system from secondary contamination. Moreover, unlike typical laboratory water storage tanks, the disposable arium® Bag is easy to exchange in less then 5 minutes, eliminating not only time-intensive cleaning, but also hazardous sanitization. Specially designed for the pharmaceutical industry, this bag is made of high-quality S71 material and provides optimal storage conditions, thus ensuring consistent Type 2 water quality over the long term. Secure and optimize your equipment operation with commissioning, qualification and regular maintenance. We are happy to help. Contact us for more information or a demonstration.